LOUISVILLE, Ky. (October 31, 2018) Breeders’ Cup, which last week announced several new wagers to its betting menu for both Friday and Saturday of the November 2-3 World Championships at Churchill Downs in Louisville, Ky., has released the Head2Head (H2H) wagering matchups. All told, seven Head2Head (H2H) wagers, with three offered Friday and four Saturday, provide seasoned bettors and potential newcomers an opportunity to handicap intrarace matchups in the hopes of unearthing strong plays in a sports betting type of format. The $10 minimum wager, with just a 10% takeout, is designed to offer matchups with a theoretical 50/50 chance of winning, that should attract seasoned bettors, but could also in turn appeal to sports bettors, as they are essentially being given an even-money proposition, yet with no points spread involved. The matchups, listed below, will have a predominantly USA vs. European feel and consist of both individual horses against each other, as well as entire groups from both countries. All seven matchups offer plenty of pros and cons for each side that should attract betting dollars from handicappers and fans alike, as Friday’s juvenile turf races figure wide open, with serious contenders from both the USA and Europe, while the Sentient Jet Juvenile itself has a great West Coast-East Coast battle between a pair of undefeated colts, Complexity and Game Winner. Saturday is much the same, as the Maker’s Mark Filly & Mare Turf and Mile are riddled with contenders from both sides of the pond, while the immortal European filly Enable will go it alone in the Turf, while tackling the entire field. The Classic will pit European-based Mendelssohn and Thunder Snow against each other, but US bettors and Kentuckians are familiar with both, as they each ran in the Kentucky Derby and in the US on multiple occasions. Each Head2Head wager will consist of two betting interests, number 1 or 2. USA will be the 1 interest and Europe will be the 2 interest for all USA vs Europe wagers. Similarly, Complexity will be the 1 interest and Gamer Winner the 2 interest, Enable the 1 interest and the Field the 2 interest, and Mendelssohn the 1 interest and Thunder Snow the 2 interest. In Head2Head wagers the winner will be determined by the horse that finishes the finish line first and does not necessarily need to be the horse that wins the race. The Head2Head matchups are an important spoke in a wheel that sees a plethora of new and exciting wagers that are sure to bolster an already tremendous wagering product the Championships offer. A newly added 50-cent late Pick5 on both Friday (deemed the “Future Stars Pick5) and Saturday, with a 15% takeout and a guaranteed pool of $1 million and $2 million, respectively, lead the way and figure to easily surpass their guarantees, while a Jackpot Super Hi-5 that could spurn a carryover pool in the millions is also expected to be well received. 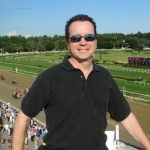 Couple those with special daily double wagering that links a Friday race to a Saturday race, with a $1 minimum and 22% takeout, and an already loaded wagering menu becomes that much more appealing—and potentially lucrative.